Great snowshoe for beginners, however there are some steep inclines if you're looking for more of a challenge. Much of the trail is groomed, but snowshoers have the option of creating their own paths. Glacier Vista is located near Paradise in Mount Rainier National Park. A perfect trail option within the park for snowshoe beginners, Glacier Vista offers a great moderate workout with unbelievable views. 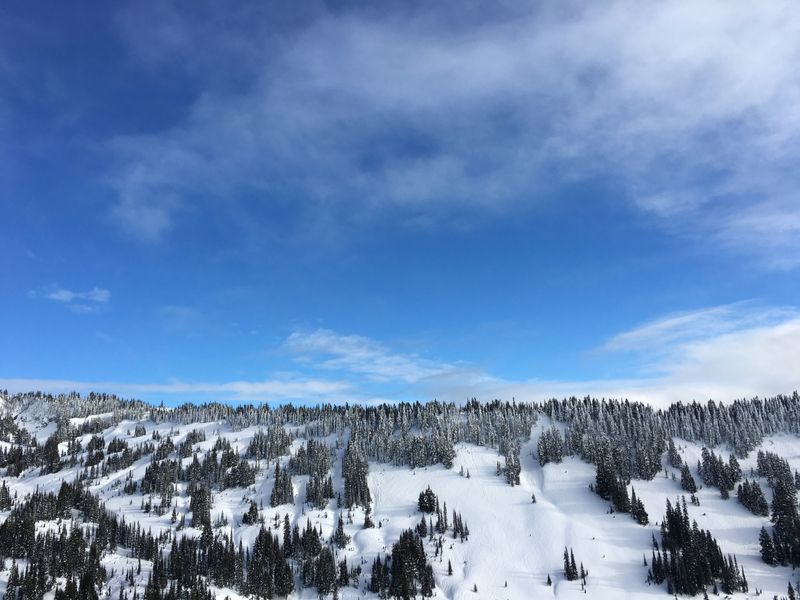 In addition to snowshoeing, this area attracts many skiiers and snowboarders, as there are many steep inclines. While it does get quite crowded, snowshoers have the option of making their own path rather than following the groomed trail. Just be sure to remember your route if you steer far off the path, although the lodge/parking area are visible from most of the peaks. For a beginning snowshoer, like myself, Glacier Vista was a great introduction. I was able to challenge myself by snowshoeing up some steep inclines, but could have also chosen to snowshoe a fairly flat span of the mountain. It's all up to the individual, which is why I think Glacier Vista is ideal for beginners. 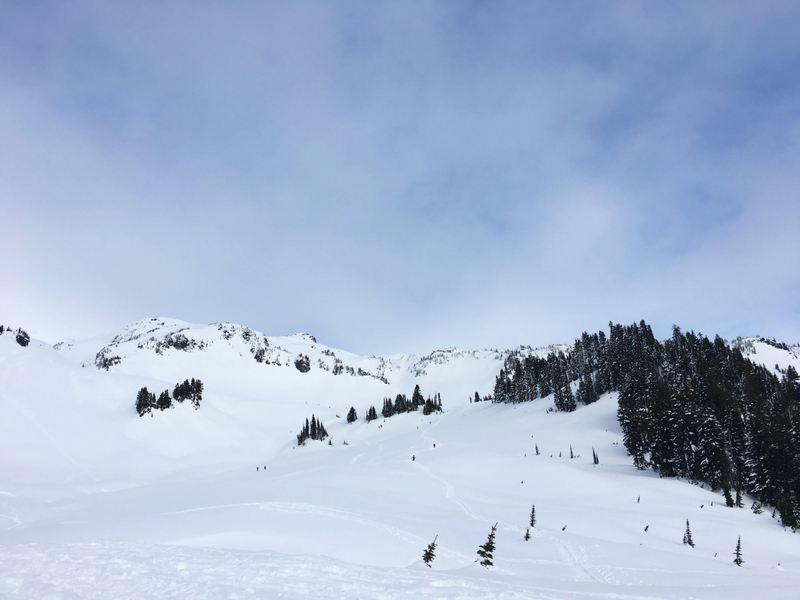 Ideally, I would have spent the weekend at Mount Rainier to avoid being pressed for time and to have the option to explore other snowshoeing areas of the park. If we had more time, I would have loved to explored Glacier Vista even further and tried to hike some of the more challenging peaks. First time snowshoers! And anyone willing to take a drive to spend an afternoon at Mount Rainier. From Seattle, drive east from Tacoma on State Route 7 and bear left onto SR 706 at the town of Elbe. Continue east through the Nisqually Entrance of the park, and proceed up the plowed road to the Paradise Lodge parking area. You will need tire chains - they are available to rent for up to two days at Whittaker Mountaineering (around 5 miles from the park). Written by Casey Wheeler for RootsRated.